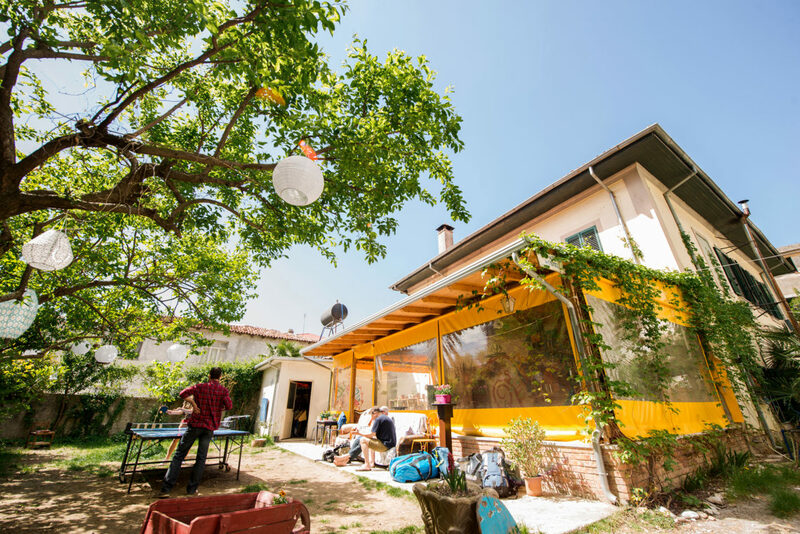 SHKODRA BACKPACKERS HOSTEL – MI CASA ES TU CASA – Welcome! 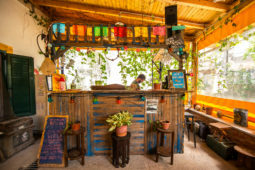 Book here and get 10 % off! 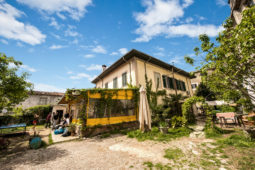 Accomodations from €9 per night. 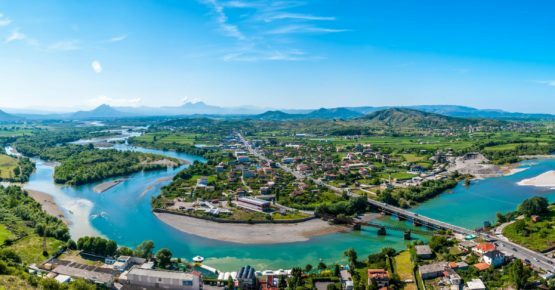 Shkodra or Shkoder is one of the oldest and most historic places of the balkans peninsula as well known also as an important cultural and economic center. It was the capital of the illyrians labeates and gives also the name at liqeni i Shkodres (Shkodra lake) the largest lake in southern europe. 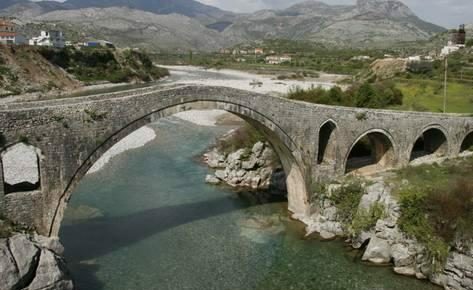 Shkodra has the best geographical position in Albania. 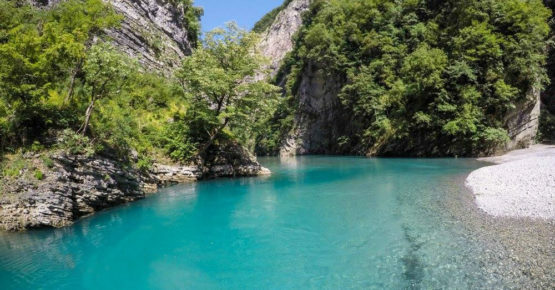 At the foothills of the Albanian Alps and surrounded by the freshwaters of the rivers of Kiri, Buna, Drini and the famous Lake of Shkodra, it also stands just 40 km by the Adriatic sea; that makes this ancient city an important Tourist, cultural and educational centre. 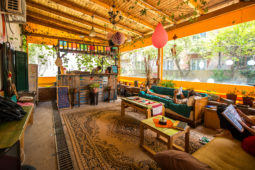 We called our hostel- mi casa es tu casa- because we felt and we knew this is what we are offering to travelers, backpackers, school groups, families and so on. 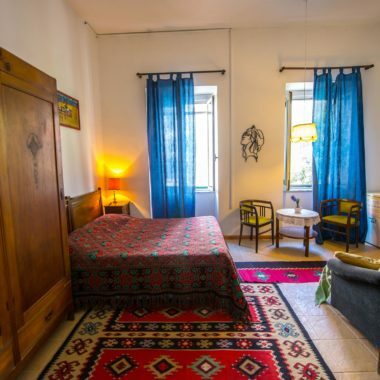 Comfortable rooms and bright suites, equipped with vintage furniture; air conditioning and heating system, Original paintings from national and international artist are hang on the walls. 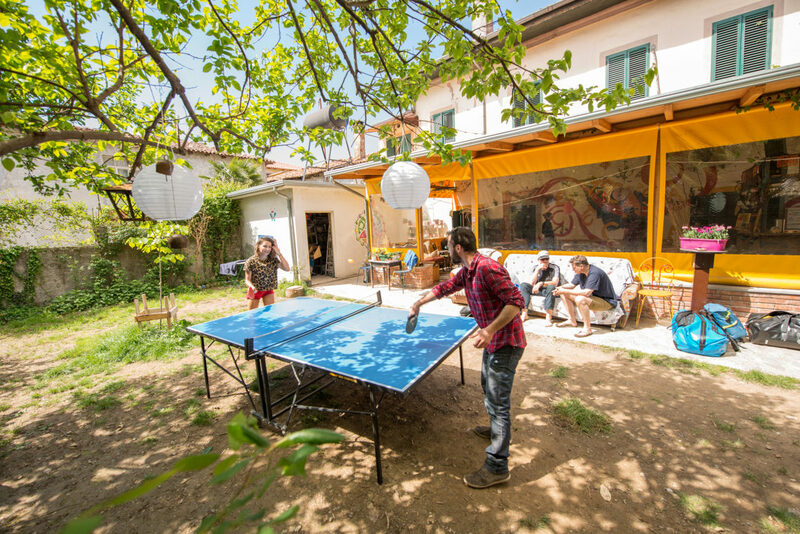 Now and then we organise social activities giving the city the opportunity to acquaint with the artists lodging at the hostel. It carries a homey feeling. We take care of three friendly dogs, housed from the street. 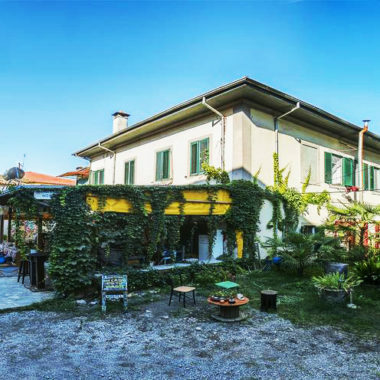 We manage a piece of land placed on the skirt of the city, where, the vegetables used for us and guests of the hostel, are grown. Another extension of the hostel is placed 25 km distance on the sea shore- Camping clandestino– It’s a wonderful point to swim, meditate, exercise, kitting, and, at night, get together around a wooden fire. We encourage farmers and small artisans to produce more organic food and products. 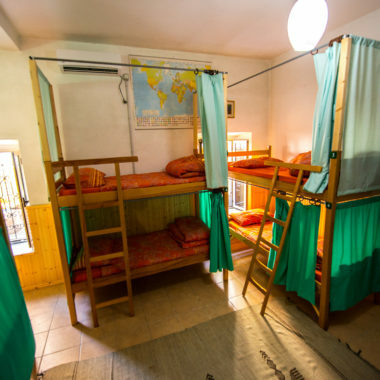 In our hostel you don’t rent just a comfortable and clean bed. 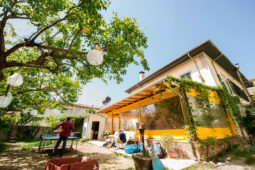 You rent the possibility off choosing between different areas to relax , the luxury of being on your own in a nice cozy corner of the garden or among other backpackers, sitting down in the verandas, conversing and having a beer or glass of wine from the local artisans. 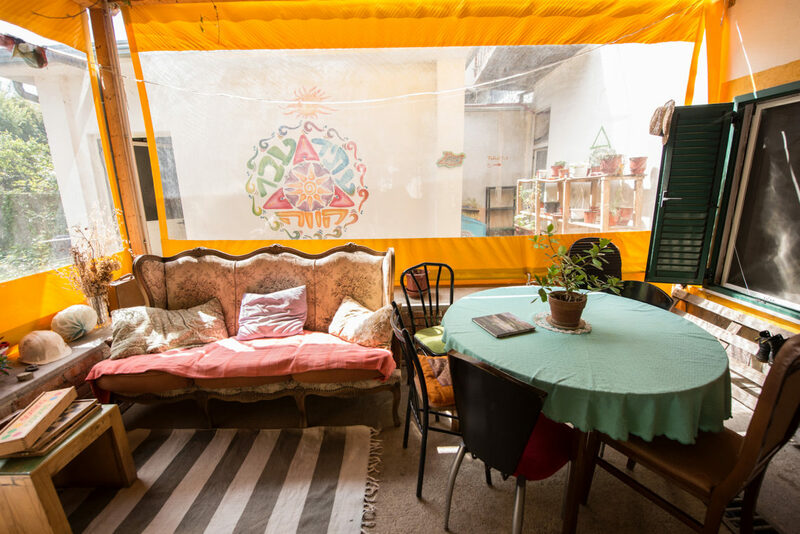 Within a bed you rent a kitchen too, where you can cook a meal, an organic and rich breakfast; various possibilities explained carefully for you to know the city and to explore the touristic places. Join our Free City Tour every day starting from the Hostel. 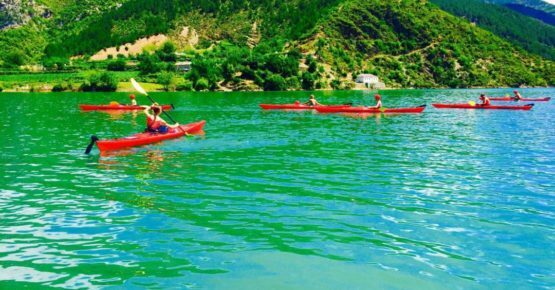 Rent a bike and ride to the lake-side villages of Shirok and Zogaj, swim and eat a traditional lunch of local fish. Ride to the ruins of Shirqi along the River Buna, and maybe take a swim! 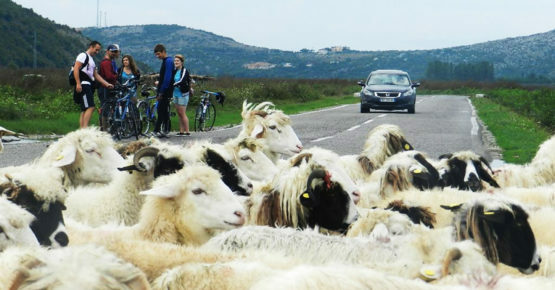 Pedal into the Kir River Valley rich with history and wonderful landscapes, swim in fresh pools of natural carved rock. Visit Lake Koman Ferry Berisha. 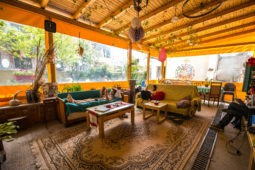 Hike to nearby Ura e Mesit bridge and Drisht Castle, or visit the Cave of Juban full of stalactites and stalagmites by ascending the mountains east of the city. Take a day hike and climb nearby Tarabosh mountain and see the incredible views of the lake, town, rivers, the sea, and Montenegro! A full day in the stunning Lake of Koman. 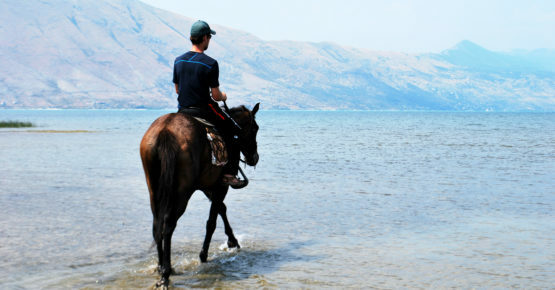 Enjoy the ride in the great countryside of Shkodra. A Boat will be waiting for you for an amazing trip around the lake. Have lunch with the locals in front of the picturesque river of Shala, having a refreshing swim in his waters. Take the boat back for another last view and again the car to Shkodra. A day that you will never forget. Visit the hills of Shkoder by bicycle, which you can rent at the hostel if you wish. 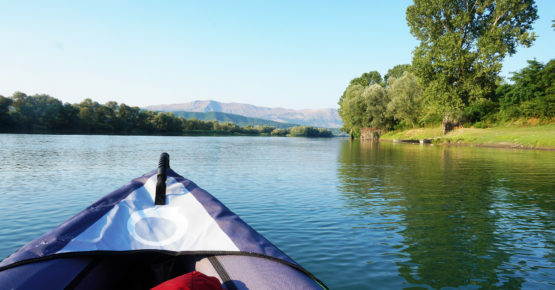 Explore Shkoder Lake by kayak or boat. 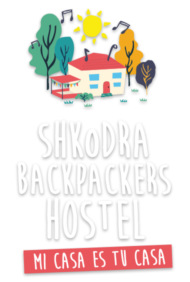 You can also explore the many paths in and around the mountains nearby, experience a bit of the past and present of Shkoder: the bunkers, the old army barracks, areas of the ancient town, Rosafa castle, and the Mosque of lead. Visit the center of town, the Marubi Classical Photography Museum, and learn about traditional handcrafts at Fryma e Kelmendit. All this can be done on bicycle. 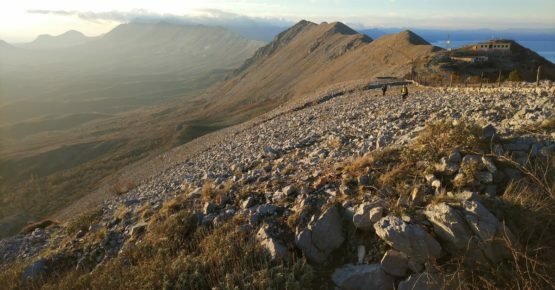 Take a day hike and climb nearby Tarabosh mountain and see the incredible views of the lake, town, rivers, the sea, and Montenegro! 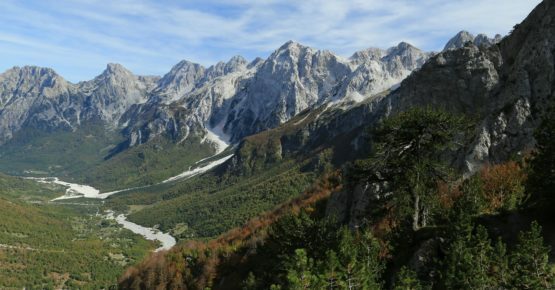 We help you to organise your hike in the Valbona Valley. A car will come and pick you from the Hostel and drive you to Fjerza. From there you will take the Ferry and see the beautiful Komani Lake. 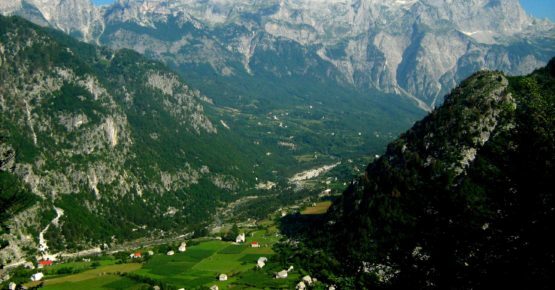 In Koman a car will be waiting for you on drive you to the wonderful village of Valbona. Every Day a bus leaves for Thethi. They will come and pick you just outside our gate. 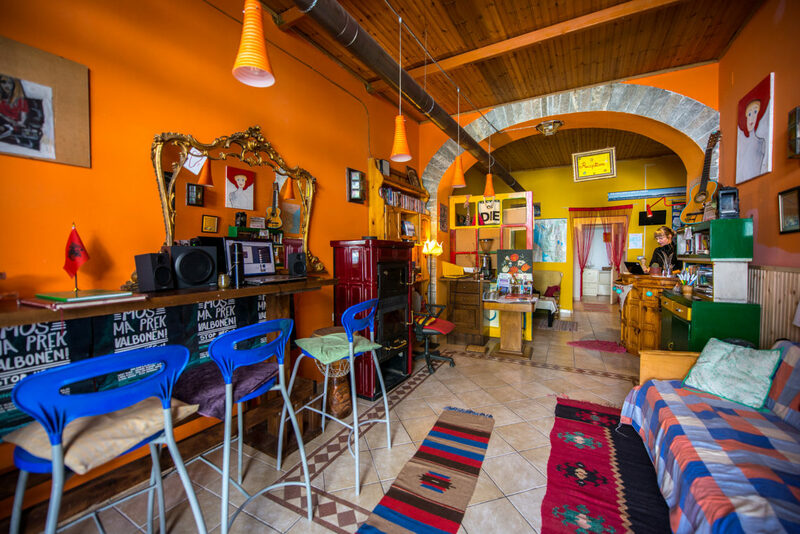 "I cannot say enough positive things about this hostel. 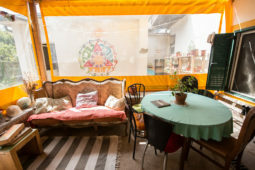 The staff are great, the rooms are clean, and the atmosphere is very laid back." "A really cute and homey hostel. The atmosphere is just amazing! Even if we came to see the City, we just enjoyed staying at the hostel for some time." "Amazing place to stay. The hosts are kind, friendly, helpful and very lovely people. Made my stay most comfortable. Highly recommended!" 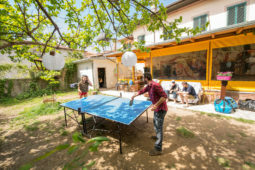 Play the video below and See what our local community has to offer.